The illustration shows Sangis arranged on a Sanban, a board for calculation with a gridiron layout. These Sangis indicate the quadratic equation 851χ2 – 3450χ + 2691 = 0. When one Sangi is put vertically, it stands for 1. Two vertical Sangis stand for 2, three for 3, and so on. When one Sangi is put horizontally, this stands for 5. The fourth square from the right in the top row, sho, indicates the number of units. Sho is also reserved for the root of the calculation. The first square to the left of sho shows the unit digit, the second that for ten’s, the third that for hundred’s, and so on. 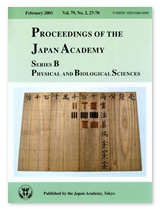 The second row jitsu, represents the constant, the third row 法ho, the coefficient of χ, the fourth row ren, the coefficient of χ2 the fifth row gu, for the coefficient of χ3, etc. Red rods indicate positive numbers and black rods negative ones. By their arrangements in the squares, numbers are signified, and solutions are obtained by adding or taking away rods. Sangi method originated in China around the Han period and was developed during the Sung and Yuan dynasties. 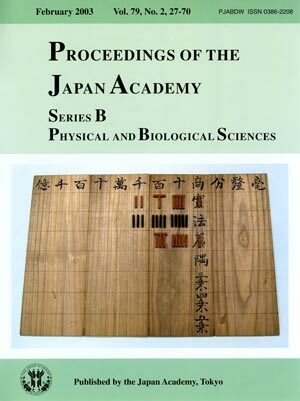 It was imported into Japan around the 17th century for use by Japanese mathematicians. Sangi has subsequently undergone further evolution, leading to several inventions including a writing method using shapes of Sangi for example, and contributing to Wasan, one of the greatest mathematical cultures in the world.